ClipBucket’s return and cancellation policy must be made available to customers on website and they have to agree to its terms during the order process. Customers have to click on an “Accept” or “Agree” for return and cancellation button before submitting their payment information. Then, once the order has been submitted, a policy can be sent to customers with the order confirmation email. ClipBucket believes in helping its customers as far as possible and has, therefore, a liberal cancellation policy. Cancellations will be considered only if the request is made within 7 days of placing an order. However, the cancellation request will not be entertained for custom work and projects. There is no cancellation of orders placed under the Same Day Delivery category or Urgent matters. No cancellations are entertained for those products that the ClipBucket marketing team has obtained on special occasions like Halloween, Christmas etc. These are limited occasion offers and therefore cancellations are not possible. 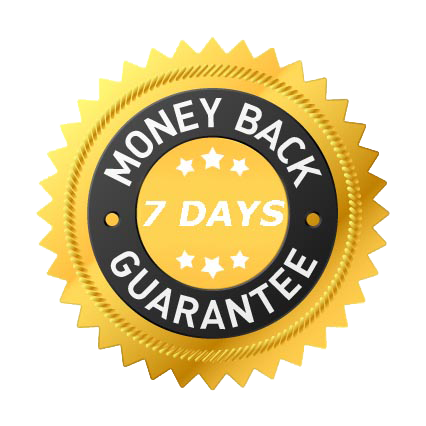 When you buy our products/services, your purchase is covered by our 7-days money-back guarantee. If you are, for any reason, not entirely happy with your purchase, we will cheerfully issue a full refund. We develop and sell software that we use ourselves every day and have thousands of satisfied customers worldwide, and our support is second to none. That is why we can afford to back our products with this special guarantee. We provide our customers with full online demos for hands-on experience of all of our products, please take your time to test and evaluate our products before making a purchase. We also provide limited time Personalized demo to explore our product. Please make sure that you have all the required modules, privileges, and support for the server as mentioned on our requirement page. If you are not satisfied with your purchase, please contact us within 7 days of your order and we will try our best to resolve any issues. If we are not able to resolve your issues, we will give you a 100% refund (excluding our server setup/installation services, and other pre-stated non-refundable services, products and hosting. Please include your order number (sent to you via email after ordering) and optionally tell us why you’re requesting a refund – we take customer feedback very seriously and use it to constantly improve our products and quality of service. Refunds are being processed within 21 days period.